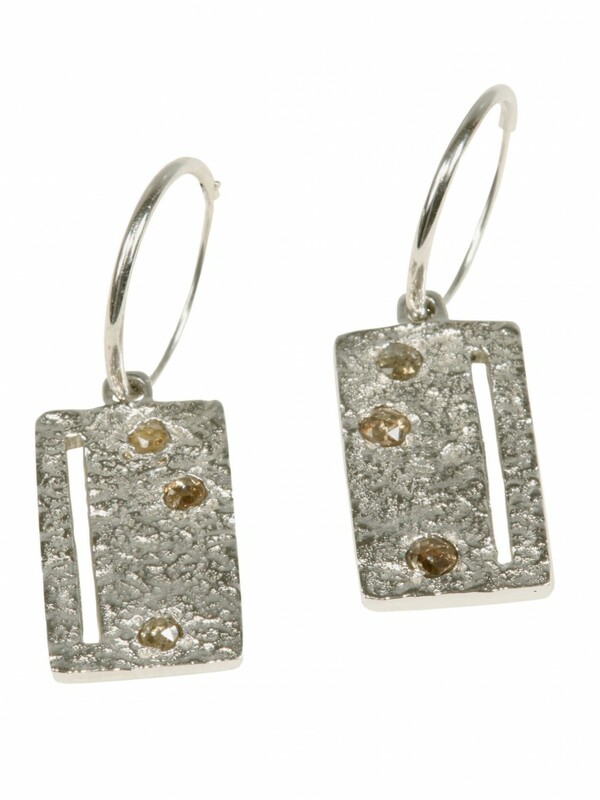 Textured 18ct white gold razor earrings with cognac coloured rose cut diamonds and 18ct white gold hoops. 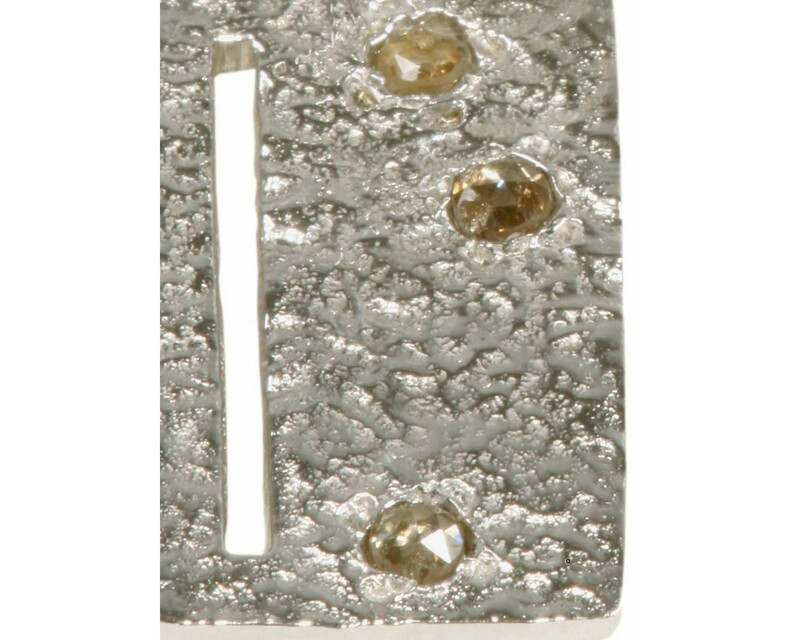 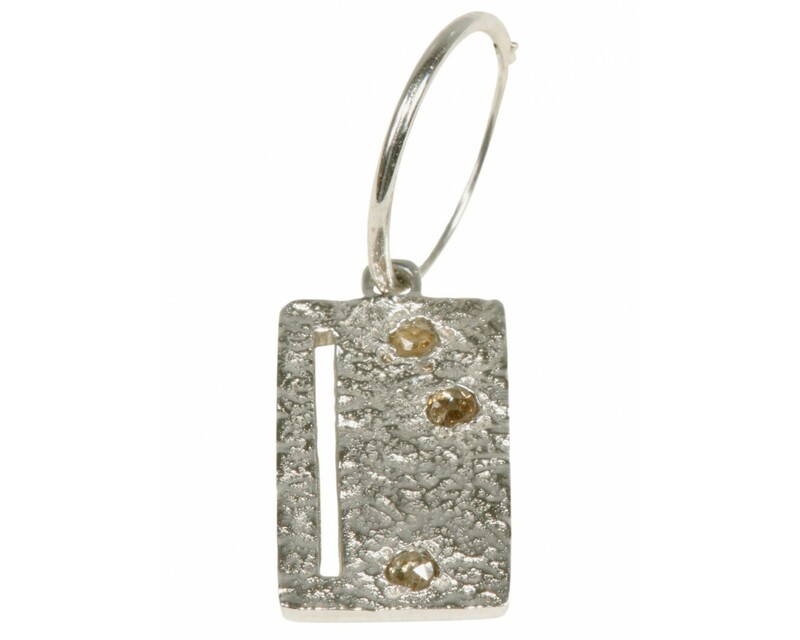 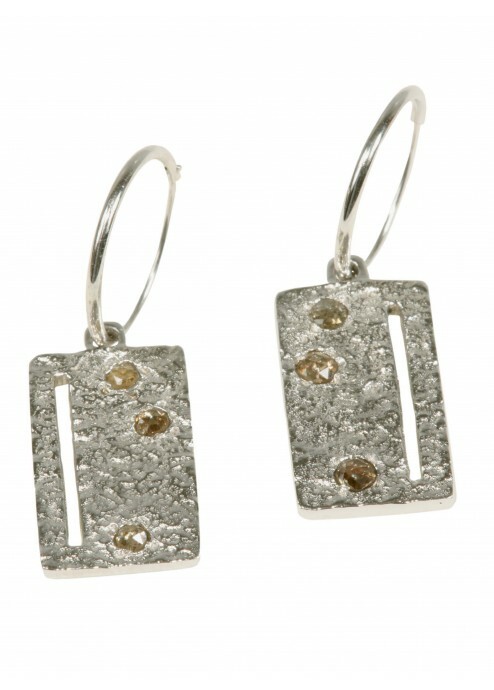 These textured 18ct white yellow gold razor earrings with rose cut diamonds are one of our simple but classic styles. 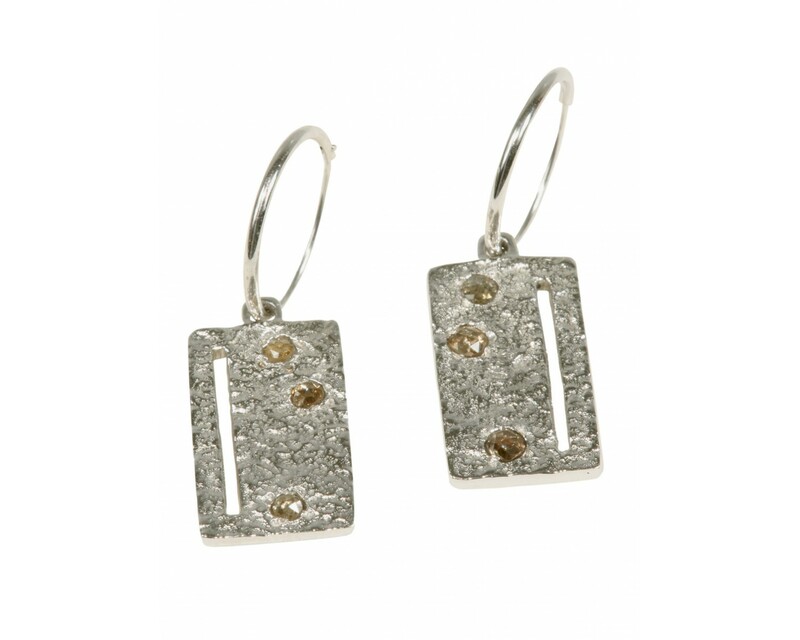 They swing prettily on 18ct white gold hoops and the simple abstract cut outs allow the light to dance.